Blogging gives you the opportunity to share your knowledge and add value for your readers. It also gives a platform for businesses to promote their expertise and skills. Added with the fact the top blogs turn over millions of dollars per year, it will have no doubt crossed your mind to start one yourself. Having a blog will help you develop your knowledge, help build relationship within your industry, and potentially earn you a healthy income. First of all, let’s be clear. A successful, revenue generating blog needs to add value. A simple personal journal or an outlet to voice your opinion will not generate much return. Consider some of the niches you may be passionate about. With passion comes knowledge and enjoyment. If you are simply blogging for money covering a topic you know little about, the likelihood is that you will not succeed. There’s plenty of material online promising to make you millions if you follow their course, or steps. Whatever it may be, you will not be making hundreds of thousands of dollars within a few months. 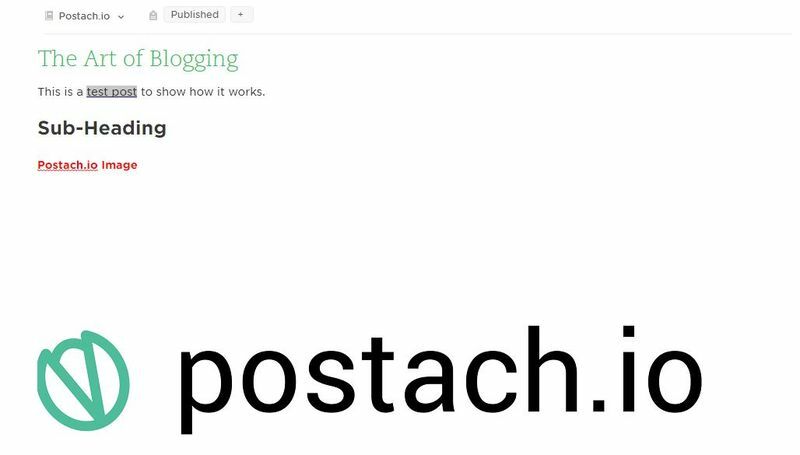 It’s too expensive: You can blog using Postach.io for free. All it takes to get going is your time. It’s time consuming: You don’t need to post daily. Instead, focus on creating quality content. Surveys show bloggers are now more likely to post weekly and spend an average of 3 hours 20 minutes on each post. No one is going to read it: By following the steps in this guide, you will drive readers to your blog. It’s not going to make any money: This is not an overnight quick fix. However, with persistence and a little bit of ingenuity, you will start earning a healthy, passive income. Don’t know what to talk about: Everyone has an interest or knowledge in a particular niche. It may sound like a cliche but it’s true. If you are interested in something, then there will be others who share your passion. As you can see, there is no reason not to start today. I will show you what you need to do to create a blog that people want to read. The only thing stopping you from setting up a successful blog, is well, you. Before we get into the technical detail of setting up your blog, you need to find your niche. In some ways, this is the most important factor behind the success of a blog. The only way you keep people coming back is if you provide engaging and useful content. In choosing a niche you need to think about a number of factors. Choose one too obscure and you will find a small market, which will limit monetizing opportunities and run out of blog post ideas. Choosing a broad niche will probably be highly competitive and you may struggle to win over a reasonable share of visitors. Competition isn’t necessarily a bad thing. After all, it indicates there is a demand for that niche and if you are confident you can create a better blog, then go for it. However, if you are taking on a blog like the Huffington Post, there’s only going to be one winner. Products in each of these niches have a limited life-span and when they drop off, your blog will go down with it. Once you have settled on your niche, the next step is to come up with content ideas. The key is to have an organized strategy in place. Engaging with your audience:. By joining online forums and conversations, you will gain a better understanding of common issues and challenges. You can then use your blog to offer actionable solutions. Analyzing your competitors: Look at successful blogs within your niche and see what they do well. Find out what topics they are writing about, and see if they are missing anything. There is always room for improvement or simply taking a different angle on a topic. Identifying trends: Within a niche, there will be trends. Monitor social media and see what people are talking about. As long as it adds value, there’s nothing wrong with creating a post that follows a current trend. Ideas can come at any time, so you will need somewhere to jot them down. Evernote is perfectly designed for this purpose. It allows you to take notes, store them, and organize for use at a later date. 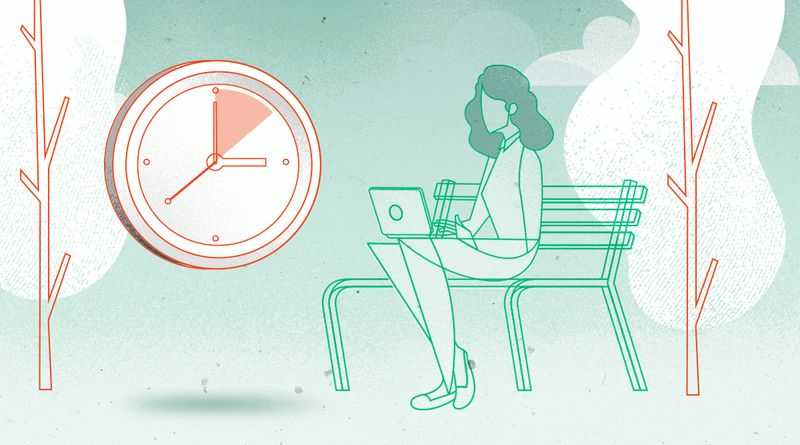 For example, if you are in a meeting and a post topic pops into your head halfway through, you can place a reminder in Evernote. 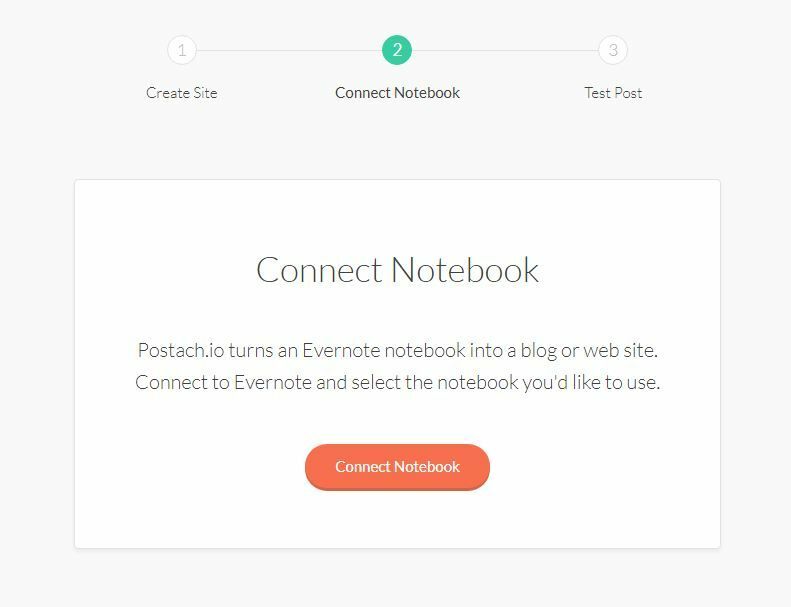 Once you have set up your account and logged in, you will see this page on Evernote. It’s simple and easy to use. Notebooks act as folders where you can store your individual notes. 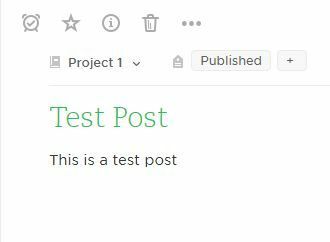 In terms of setting up a blog with Postach.io, this takes on a particular importance as we will explain later on. When you see an article you like, you can click on the famous elephant logo within your browser. 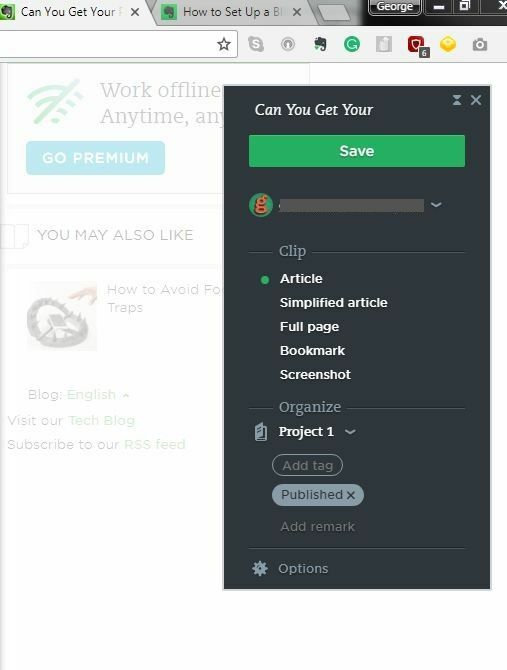 The drop down asks if you’d like to copy the content. The default setting, as shown above, will be to publish your clipper. If you do not want to do this, make sure you untick that option. 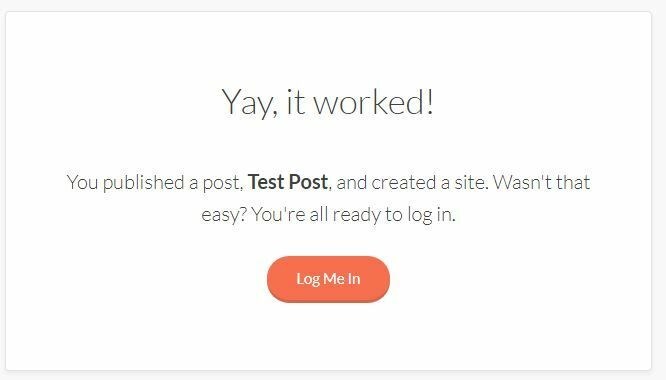 This just takes two minutes of your time, Having the ability to save and organize your ideas on one platform will prove invaluable for your blog. 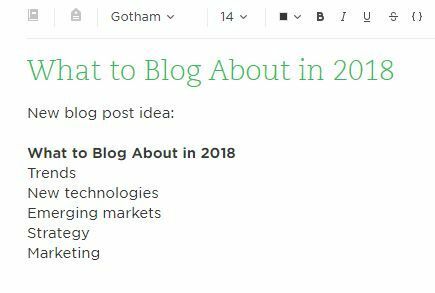 Using these techniques will help you come up with fresh, relevant blog post ideas. Focus on covering topics you have knowledge of and have access to the necessary resources. As you will already be aware, there are a number of blogging platforms. Each option has its strong points and weaknesses. Platforms such as Blogger, Wix, and WordPress allow you to set up your own sites with minimal costs. They also let you choose you set up a domain name, pick a theme, and take care of much of the technical details. At Postach.io, we do something unique. 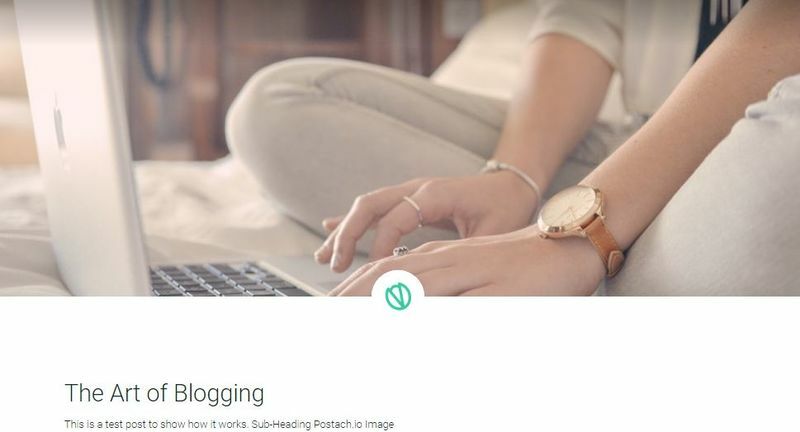 Postach.io is a blogging platform that turns Evernote into a content management system (CMS). 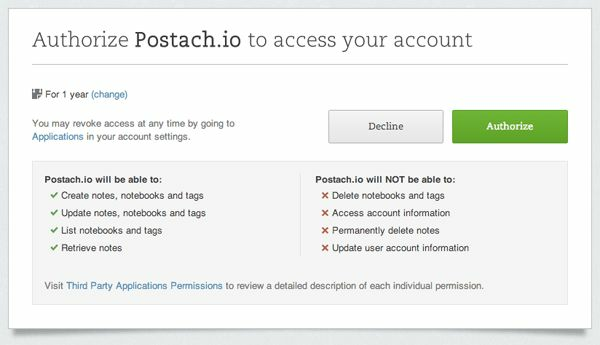 Make sure you already have an Evernote account and Postach.io will automatically find your account using the details from the first stage. While this screenshot is asking for re-authorization, you will see exactly the same layout and options with a first-time authorization. 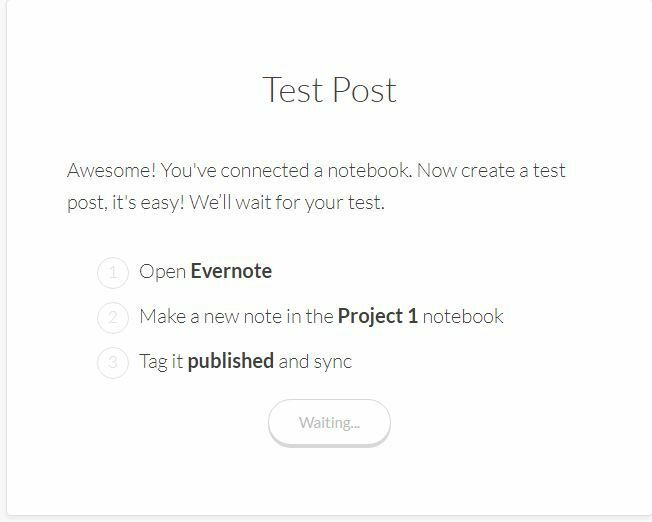 Once you have authorized Postach.io to access your Evernote account, you will be asked to submit a test post. As you can see, the next step is to open up your Evernote page. 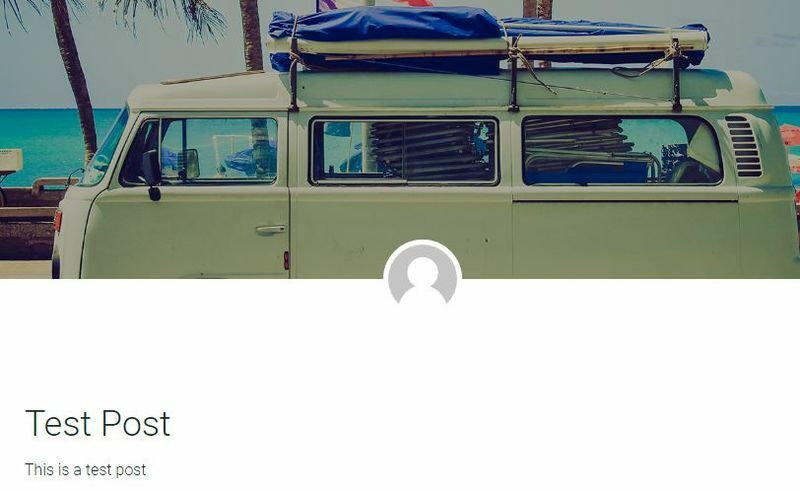 Make sure you are in the right notebook and, when you’re ready, tag the note as “Published:"
The first domain you will be registered with will be “yourname.postach.io." So for example, if your name is John Jones, your first address would be johnjones.postach.io. This can be changed to something more appropriate and we explain how in the next step. 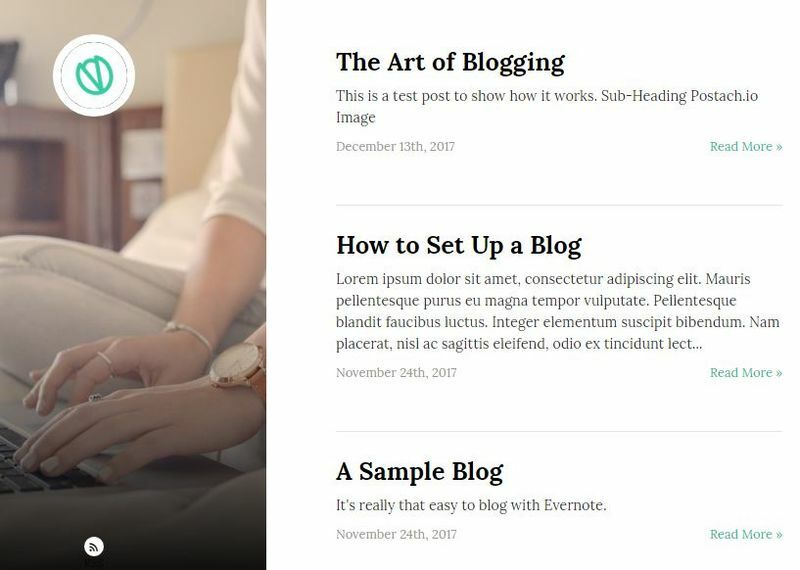 By now, you will have completed the setup process and your blog will look like this. Now, you need to add your own stamp. Is it easy to understand and remember? Don’t make it too long. Don’t restrict yourself with a specialized address. For example, sportapparel.com would give you more flexibility than sportshirts.com. Use a common domain like .com. At Postach.io, we let you choose your own domain name with our premium accounts. There are 15 fully optimized themes to choose from in Postach.io. They cover a range of styles from minimalist to image-led designs. In choosing your theme you should consider your audience, niche, and the type of content you seek to create. A fashion blog, for example, will require plenty of room for images. One providing financial advice should go for a more formal design. Once you have picked your theme, the next step is to customize it to reflect your brand. 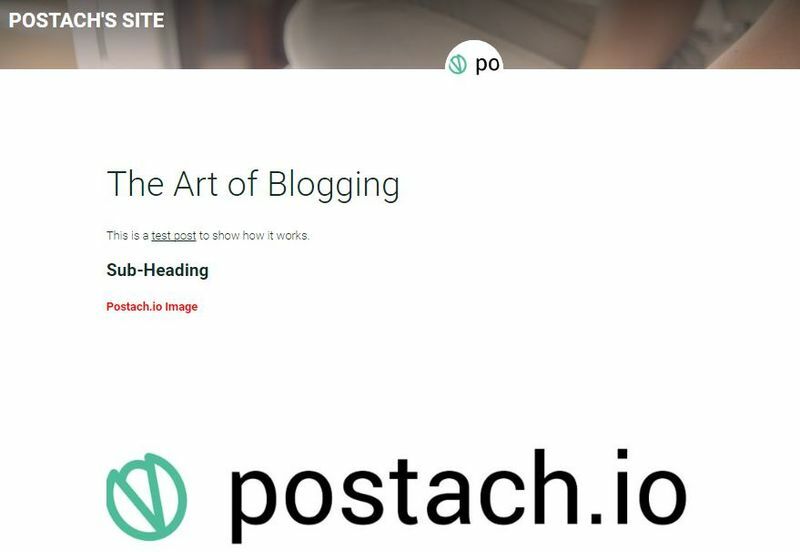 Within the admin page on Postach.io, you can add your own photos in the header of your blog. The two examples above demonstrate how images can be displayed differently across different themes. In this case, both versions work but it’s worth experimenting before settling on the images you want to use. Also, take note on how the logo is circular rather than square, which will obviously affect how the images will be displayed. In order for your blog to be a success, you need to be able to interact with your readers. Social media is an excellent way to increase your reach. 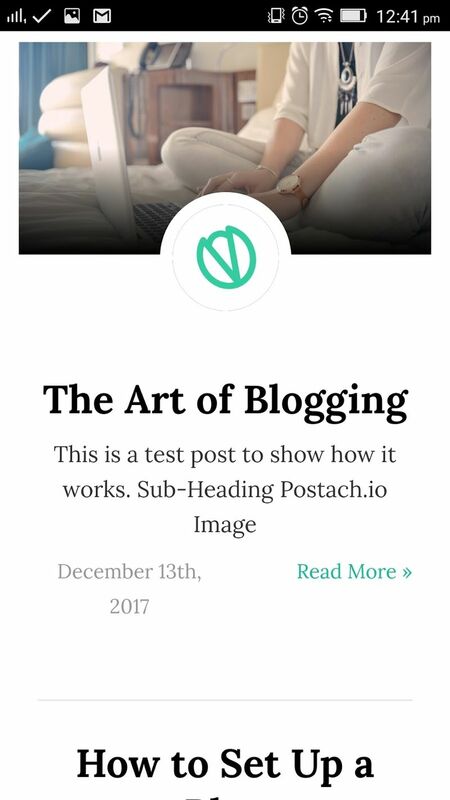 Within Postach.io, you can connect to Facebook and Twitter, which will enable you to automatically share published posts. You can also add “Disqus" which allows readers to leave comments on your posts. This is another good way to stay engaged with your audience and take the time to respond to any feedback. The Google Analytics tool is a must-have for any blog serious about growing its audience. It will help you track traffic, identify strong performing posts, and you can set targets to meet. 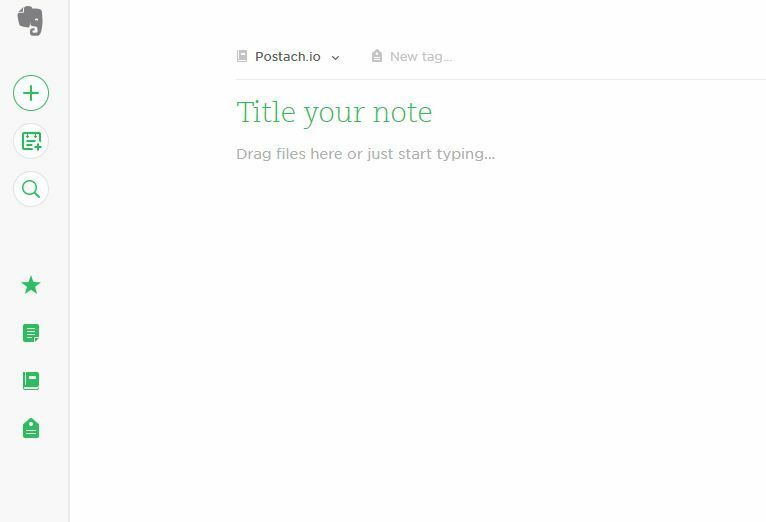 Now that you are fully set up with Postach.io and Evernote, you can get writing on your blog. We have already run through some of the basics with the test post but now we are going to go into a little more detail. 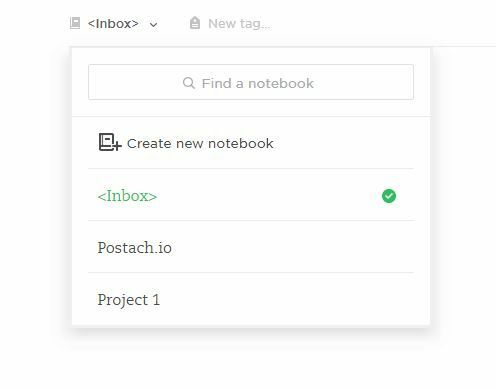 The default option will be your inbox, so you need to select whichever notebook you have set up for Postach.io. The key is to remember the importance of formatting. A readable, engaging, and high-quality blog post should be formatted and laid out correctly. 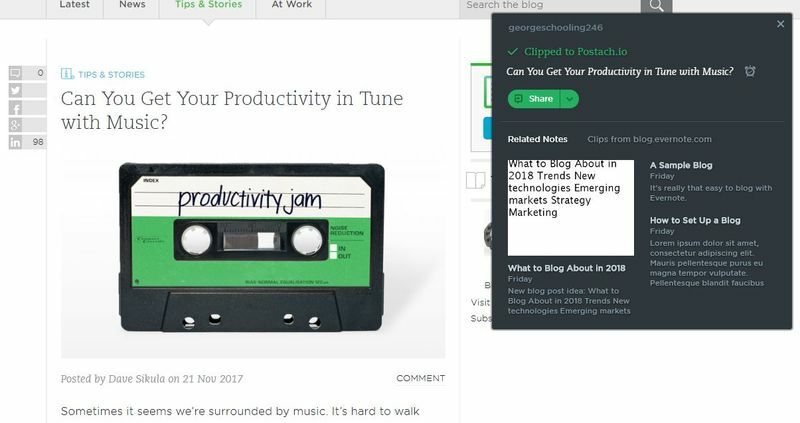 You need to treat Evernote as the content management system. 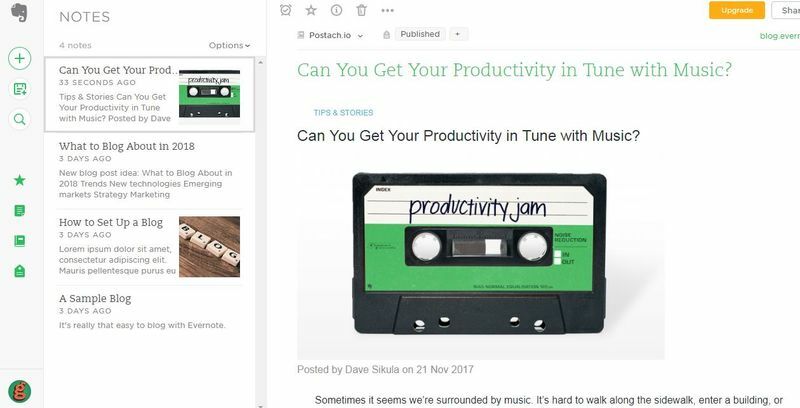 The first image below shows what a post looks like within Evernote, while the second displays the published version on Postach.io. As you can see, the formatting is identical as is the layout. You can be as creative as you like with fonts, images, and design using the Evernote platform. The challenge is not to get too carried away and focus on the content. Creativity only works if it makes your posts more engaging and relevant to your readers. The fonts need to be legible, images should be optimized, and use the layout to draw the eyes to the central message. As we’ve said before, this is not a get-rich-quick solution. Unless you were fortunate or smart enough to invest in Bitcoin last summer, such solutions rarely exist. Instead, you need to embrace the good old-fashioned mantra of hard work. It will take time for you to build traffic to your blog, and to start exploiting monetary opportunities. However, with commitment, knowledge, and creativity, a healthy income is within reach. 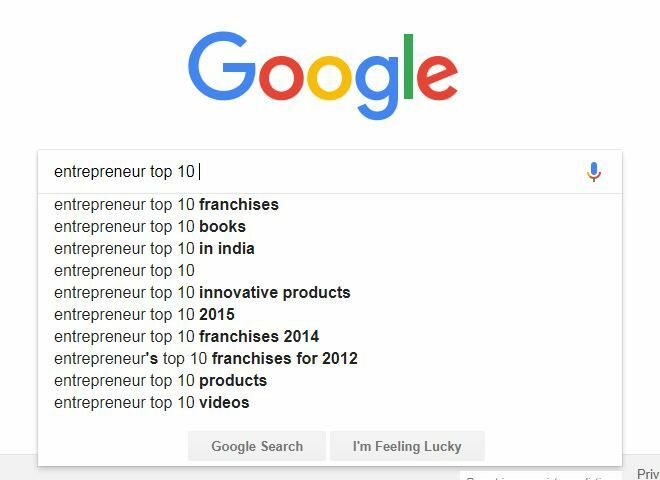 The most important step is the first one: Finding your niche. You need to pick one that you can feel confident writing about. It also helps if you already know influencers who can help drive traffic to your blog at an early stage. You do not need to post daily. Surveys have shown that long-form posts perform better than short ones, so focus on creating authoritative and useful content. Consistency also helps. If you get into the habit of updating a new post every Monday, stick to it. Use the add-ons to easily share your posts and interact with your readers. Constantly monitor and review your traffic flows. If one post is performing particularly well, what lessons can you take from it? After a few months, you should start to see the first fruits of your labor. A recent Hubspot survey has revealed that 84% of blogs are seeing results in 2017. 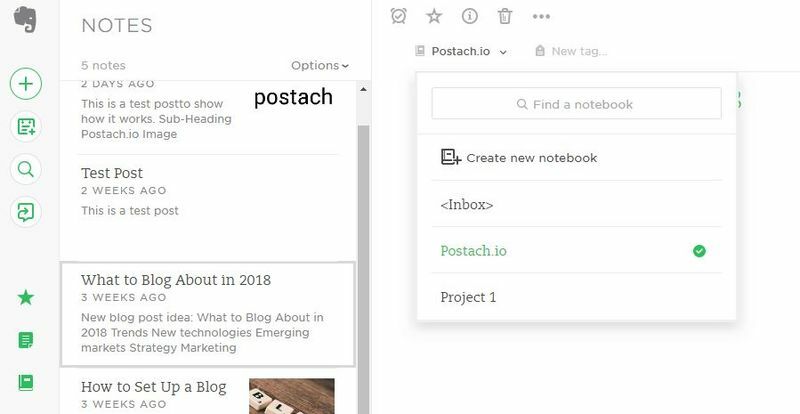 If you're looking for a simple way to set up your own blog and are familiar with Evernote, Postach.io is free and extremely simple to use - you can get started right away. Publish your first post today!